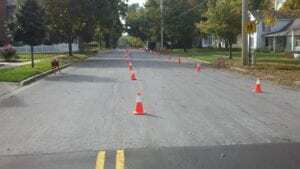 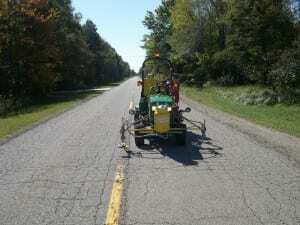 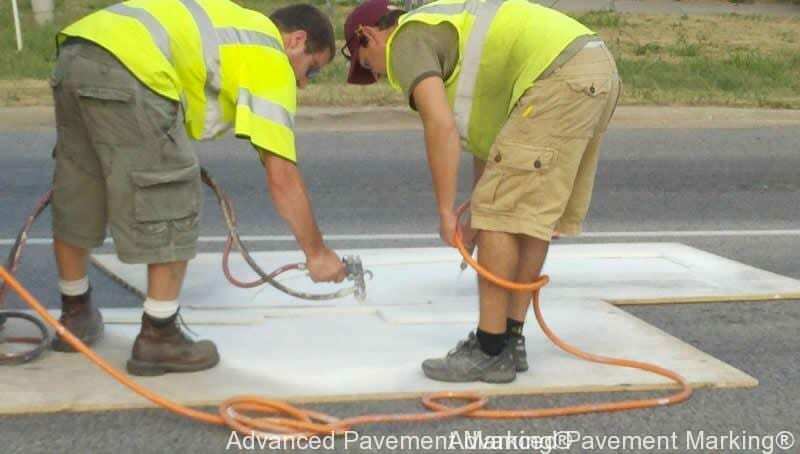 Are you seeking a pavement marking company that is experienced, qualified and priced competitively to service your village, city or county’s traffic marking program? Since 2009 Advanced Pavement Marking is the traffic marking professionals servicing: cities, counties and more pavement marking projects. 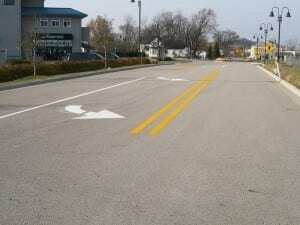 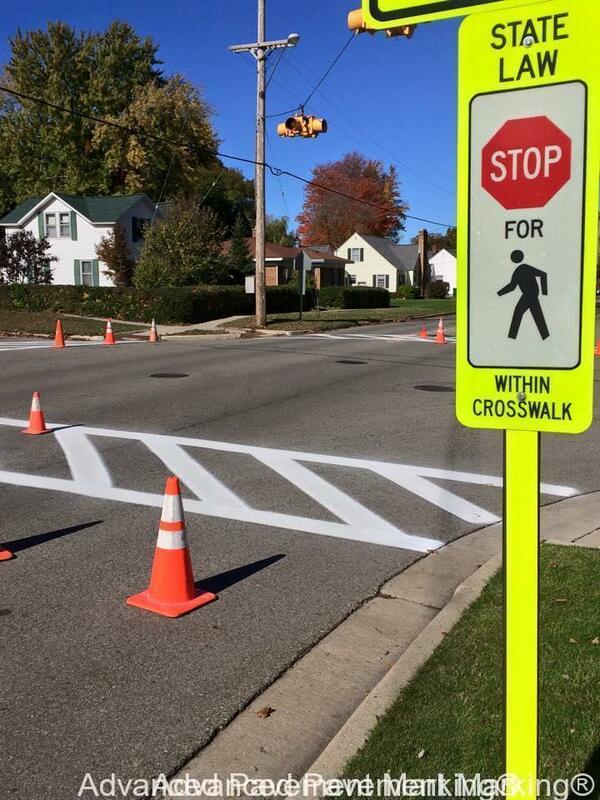 From crosswalks, specialty markings, center line, roundabouts and more. 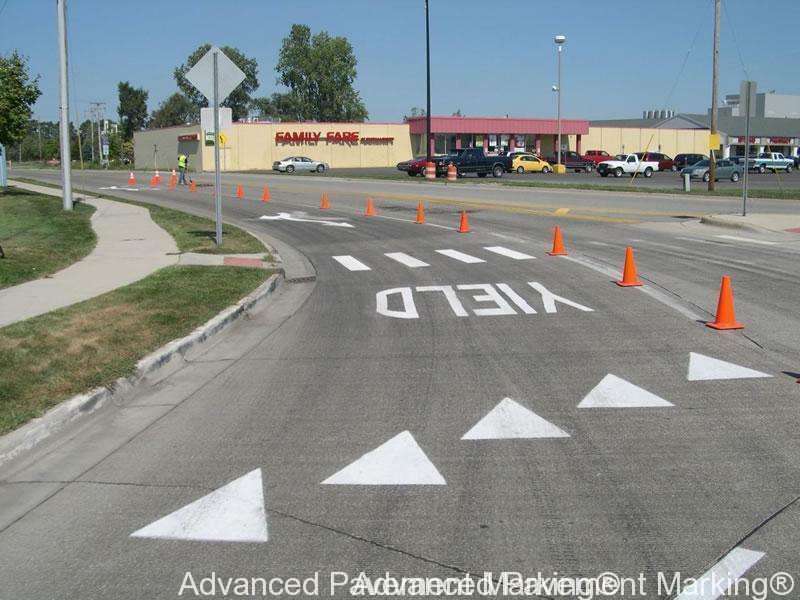 Our trained technicians implement traffic control and awareness procedures, devices while professionally installing markings meeting DOT standards and inspections. 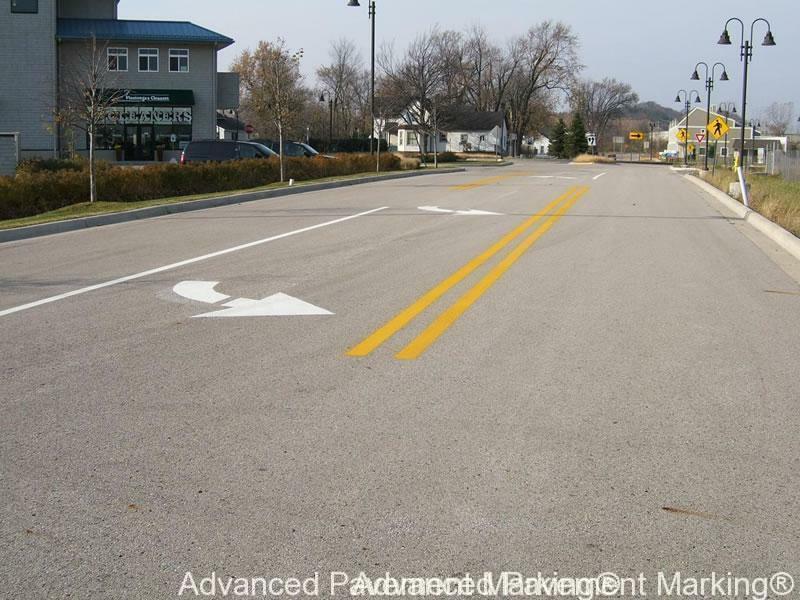 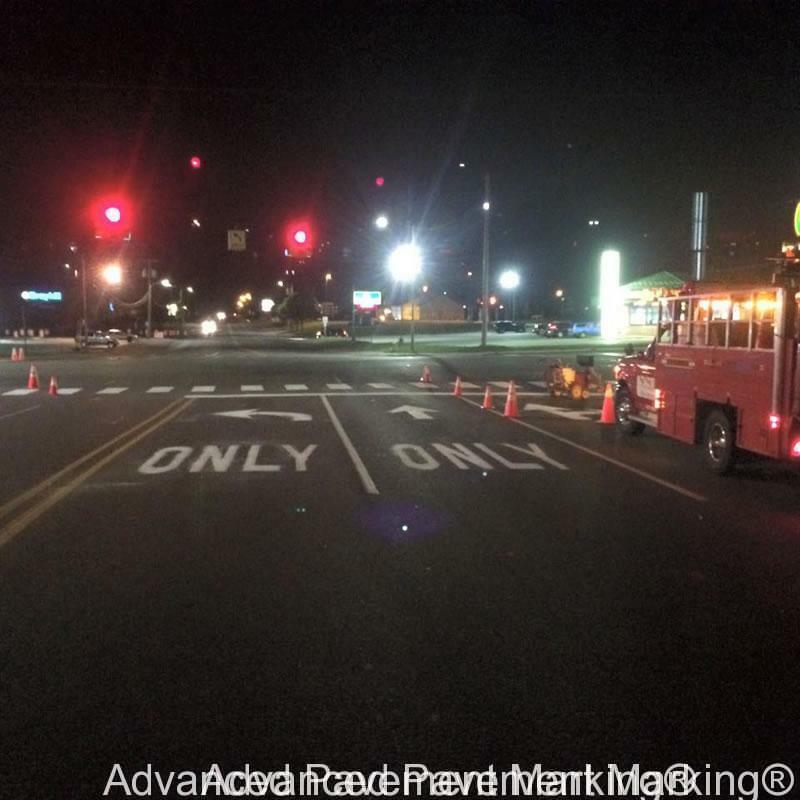 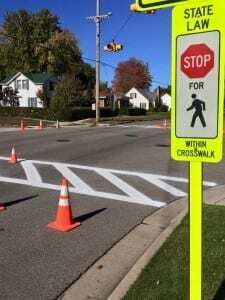 Crosswalks, specialty markings, center line, roundabouts and more put our crews and materials to work increasing your communities safety and awareness. 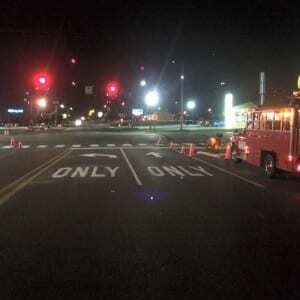 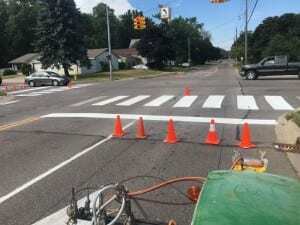 From small municipality projects with a few crosswalks and stop bars to marking an entire city/county our crews and equipment are ready for any size project. 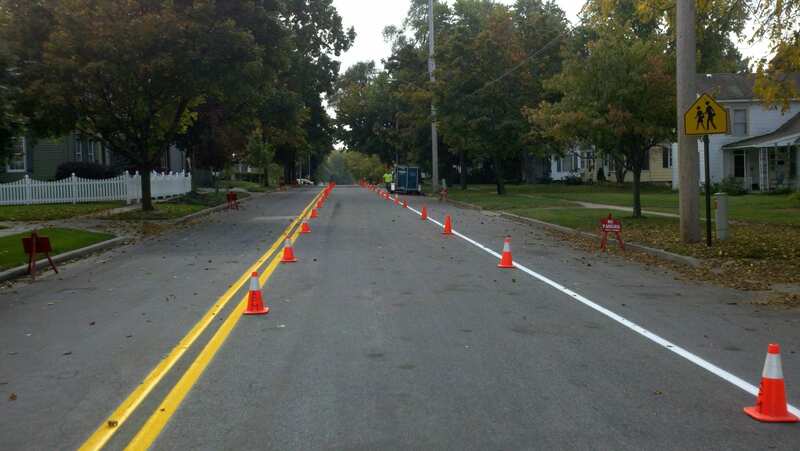 We use paints, materials and installation procedures that meet or exceed industry standards. 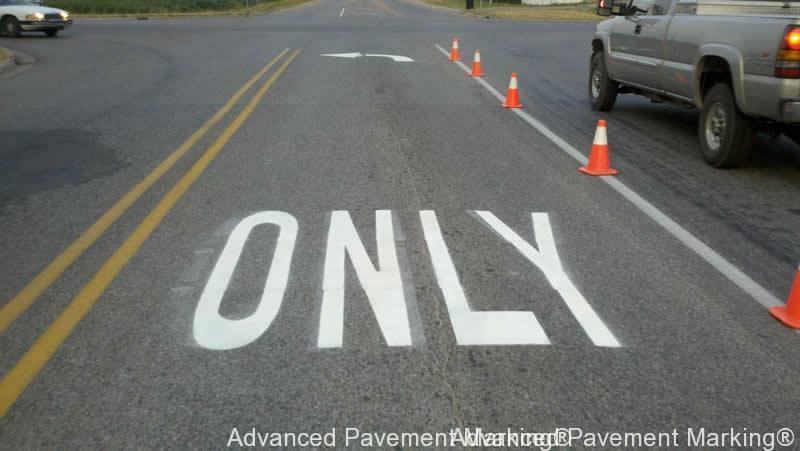 APM markings not only look better but they tend to last longer! APM crews install all types of road and traffic markings including roundabouts. 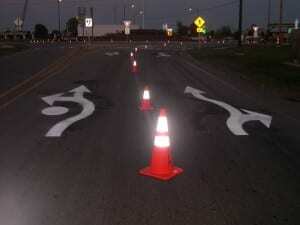 We have the experience, equipment and MDOT stencils to complete your project. 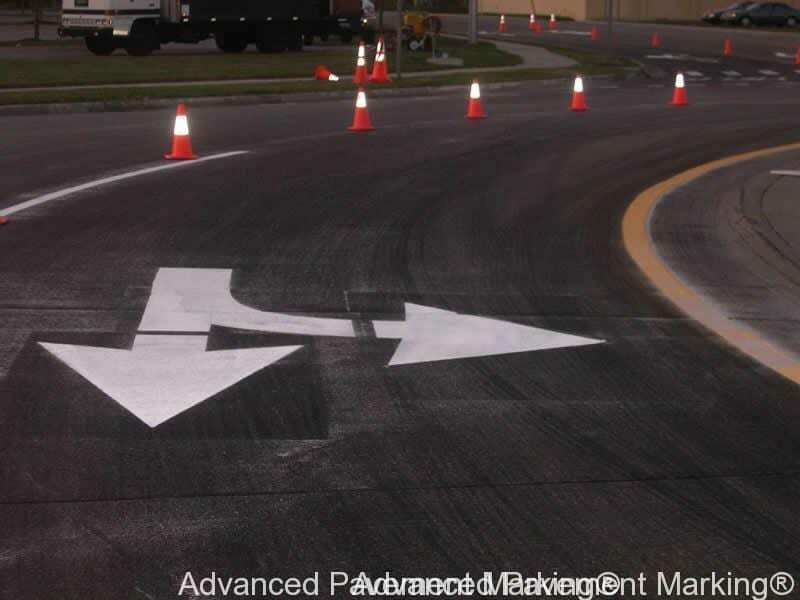 Following MUTCD, Federal, local and other traffic codes our crews leave a lasting mark for your traffic marking project. 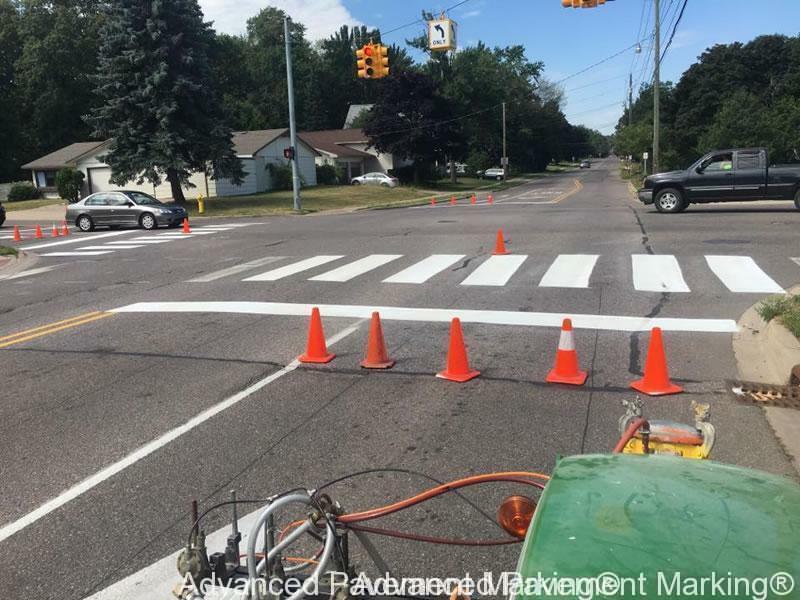 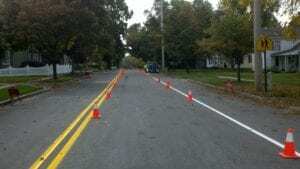 When it comes to having your municipalities traffic markings serviced don’t solely base your decision on “cheapest” price. 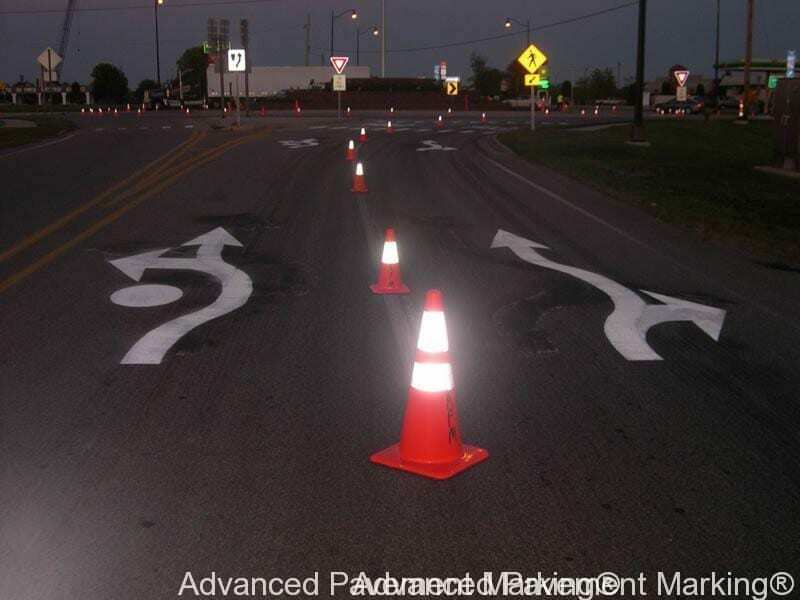 Hiring a qualified marking professional is critical for general safety and awareness on roads. 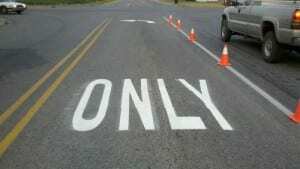 Do put peoples safety at risk by hiring inexperienced, poorly equipped or contractors who are willing to provide substandard work, it’s not worth the cost savings or headaches! Qualified traffic marking professionals will give your project the attention to detail it deserves and is the best investment in keeping people informed and safe on the roads.